Provides protection against odour. Aluminium free. 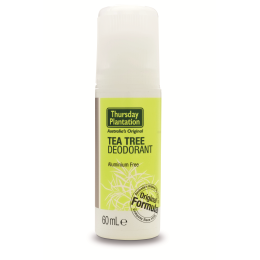 Thursday Plantation Tea Tree Deodorant naturally neutralises odour causing bacteria.